I had the most amazing opportunity today to go up to Parker Adventist Hospital and meet Samuel, who is just one day new. To hold a little one who is so very new is always a humbling and awe inspiring experience. Pair that with capturing the love these new parents had for their son, and there were truly moments when at least one person was tearing up. I met Emily and Jeff for a wonderful outdoor maternity session not that long ago. They were doing what I have never been able to do with any of my four kids, and that is wait to find out the gender of the baby. I tip my hat to all you parents with the will power to do that as I've been incredibly impatient to know with all of my children. This couple was so much fun at the last session and I've been eagerly awaiting the news that their baby had arrived. Little Samuel was just precious and already a big guy at over 8 pounds. But he still was so curly and loved to be swaddled up, snuggled in with mom and dad. 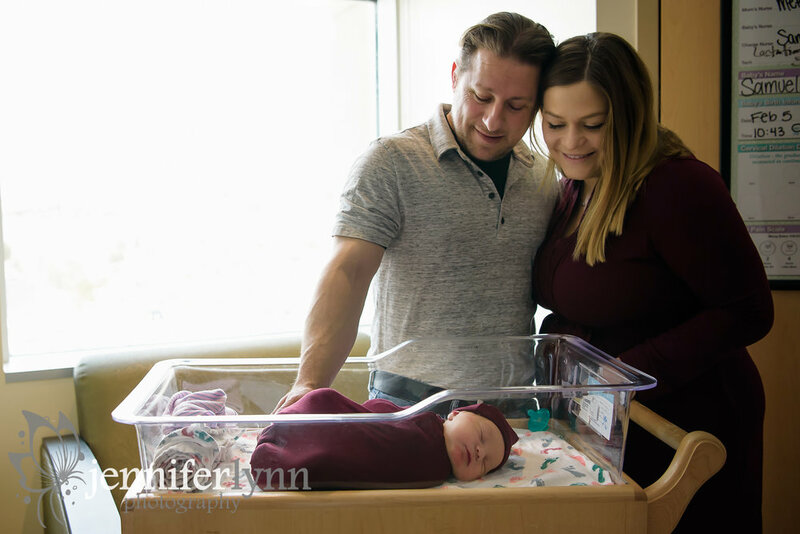 We documented this special, and oh so brief hospital time, by getting lots of details like hospital bracelets and the bassinet. The love that surrounds this baby is so strong and palpable it's incredible. A very big congrats to these new parents on their precious baby boy! I cannot wait to see you all again in the studio this weekend for his next photography debut. 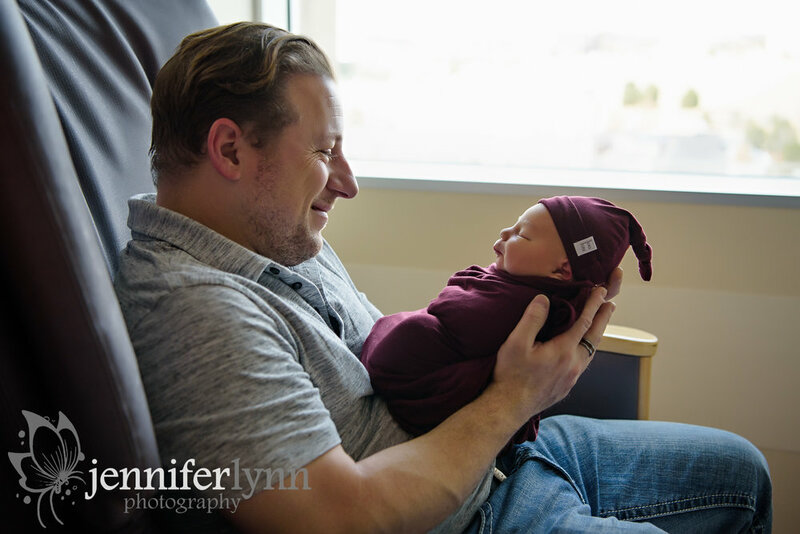 Thinking of documenting the first 48 hours of your little one's life? 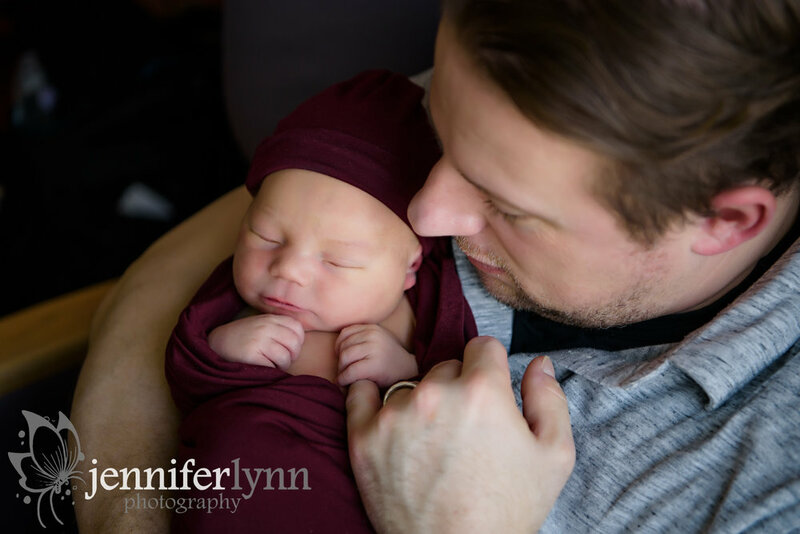 I'd love to visit with you about my newborn package and Fresh 48 options to ensure you have beautiful photos with the newest member of your family.